You may be familiar with our Solar System's eight planets - Mercury, Venus, Earth, Mars, Jupiter, Saturn, Uranus, and Neptune. There's also their famous dwarf-planet companion, Pluto. But this icy world may just be an appetiser to what lurks beyond in a region called the Kuiper Belt. As this stunning animation suggests, dwarf planets may outnumber regular planets 100- or even 1,000-fold. However, if a small group of astronomers gets its way, most of these worlds may become fully fledged planets and drop the "dwarf" label. We first saw the animation in a Reddit post by user Nobilitie. It's actually a recording of a physics-based simulator game called Universe Sandbox2, according to Dan Dixon, the creator and director of the software. Each ring represents an object's orbit, and the mess of rings beyond the inner eight rings all belong to dwarf planets. In response to the Reddit post, Dixon said the orbits are based on a constantly updated list of candidate worlds maintained by Mike Brown, an astronomer at Caltech. "[I]t's a nice illustration of what is out there!" Brown wrote in an email to Business Insider. "The striking difference between the orderly giant planets and the randomness of the dwarf planets is quite apparent." Brown is the person who discovered Eris, a 10th solar system object that's about 27 percent more massive than Pluto. His find eventually 'killed' Pluto as a bonafide planet in 2006. That's when thousands of astronomers voted on new celestial terminology, categorising the world as a "dwarf planet" alongside Eris. Some astronomers disagreed with the decision, with one going so far as to call it "bullsh-t". The public also didn't take it well: Brown has since received a torrent of hate mail from schoolchildren. Definitions aside, the list kept by Brown sorts objects detected in deep space based on the likelihood of their existence. Larger, inner objects tend to be more certain while farther-out objects are less certain. Pluto, Eris, Ceres, Makemake, Haumea, and five others meet Brown's "near certainty" criteria - in other words, they're definitely dwarf planets and not comets or some other astronomical object. Thirty are "highly likely" to be dwarf planets, 75 are "likely," and nearly 850 other objects are "probably" or "possibly" dwarf planets. 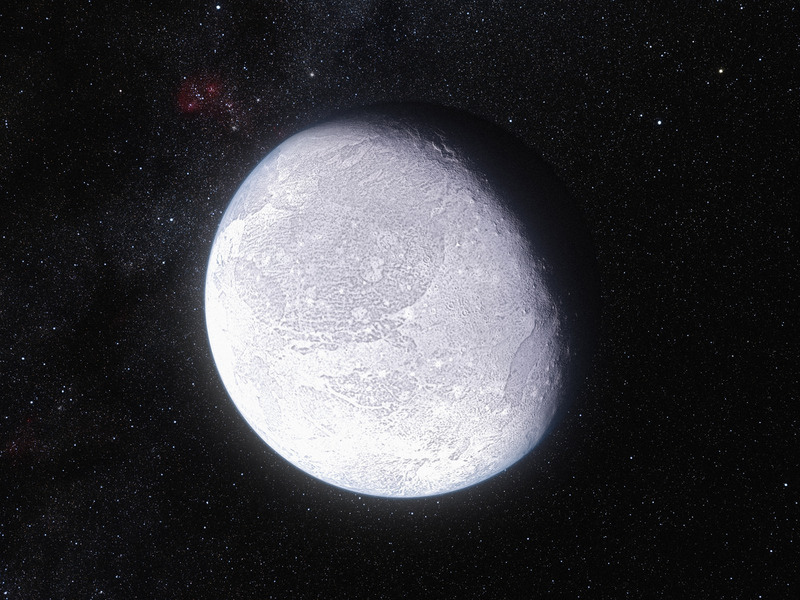 Brown guessed that about half of the dwarf planet candidates have yet to be detected, bringing their numbers close to 2,000 or more. Even Brown's best estimate may be low, though. In the illustration above, Pluto's orbit is shown in yellow, and the dots beyond it are Kuiper Belt objects. "[A]s you can see from the illustration, some of them are on exceedingly elliptical orbits. Those guys are going to spend most of their time at the outer edge of their orbit, so they're hard to see," Brown said. "There might be a factor of ~5 more of those objects that we don't know about!" Brown doesn't think nuclear-powered spacecraft like New Horizons, which can last for decades and is now exploring the Kuiper Belt, will discover most of those missing worlds. A twist in all of this is that astronomers are once again wondering what to call floating orbs of rock, metal, and ice in space, according to a poster that seven researchers are presenting this week at the 48th Lunar & Planetary Science Conference. Instead of categorising worlds as planets, dwarf planets, and moons - terms based on their orbits around the sun and one other - the team wants to simplify the system: As long as an object is big enough to be mostly round and isn't fusing hot gases (like the Sun), it should be deemed a planet. If enough astronomers agree with them, the solar system might suddenly contain 110 official planets - and perhaps hundreds or even thousands more if Brown's list pans out.